Yesterday (because I was making the drive back home after spending the weekend at my parents house), I was up at 0230 to hit the road by 0300. Normally, this is not so fun but yesterday was different. Why, you ask? Well, yesterday my middle sister was making the drive back with me! Yay! Can I tell you how much of a difference it makes to have someone in the car with you at 0300? It was great – we talked up a storm! (Well, I did most of the talking. I’m pretty sure she wanted to sleep, but I was having none of that.) It wasn’t until I dropped her off at her apartment and got back on the road for the last hour alone when the measly three hours of sleep I got finally started to catch up with me. I arrived at work over-caffeinated and under-rested (Is that even a word? ), and got ready for a very long day. And it wasn’t until around 1000 when I realized I was wearing half my breakfast on my sweater and my pants. What can I say? I’m classy! Good thing there was a package waiting for me when I got back to my apartment! 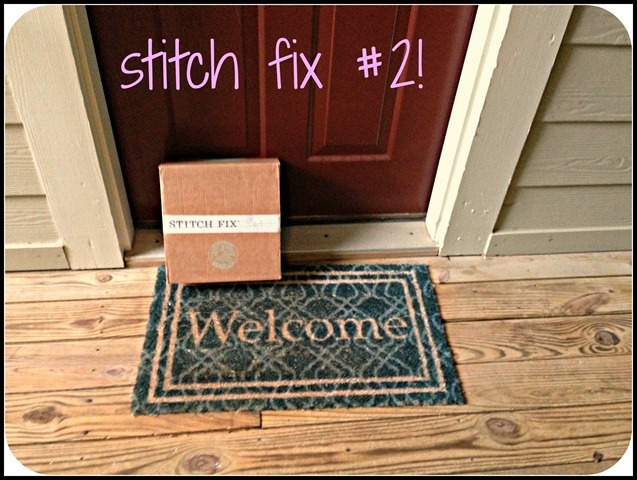 For those of you who don’t know what Stitch Fix is, let me give you the quick run down. It’s essentially a personal shopping service you can sign up for online. You fill out a fairly extensive style survey questionnaire (answering questions on both your likes and your body type), and one of their personal stylists picks out items based on your specifications. Then, each month (or however often you schedule your fixes), a cute little box arrives at your door filled with five items for you to try on and decide whether or not you like them enough to buy! It’s perfect because you can try on the clothes with other pieces from your closet, skype with friends or family to get a second (or third or fourth opinion), and whatever you decide not to buy, you simple mail back in the prepaid envelope included in your box! Simple as that! You do pay a $20 styling fee for each fix, but that $20 goes towards anything you purchase. If you decide not to buy anything, you lose $20, but if you buy all five items in your box, you get a 25% discount. And now, let’s take a look at what I got in my box, shall we? Immediately, I loved the different patterns that jumped out at me when I opened the box. I also loved that they used the belt from one of the pieces to hold everything together – how cute! I got a card from my stylist Jennifer with a list of all the items and prices included in the box. I set that aside for the time being and went straight to trying on the clothes. Please excuse the picture quality – I took them with my iPhone and I didn’t realize how dusty my mirror was! 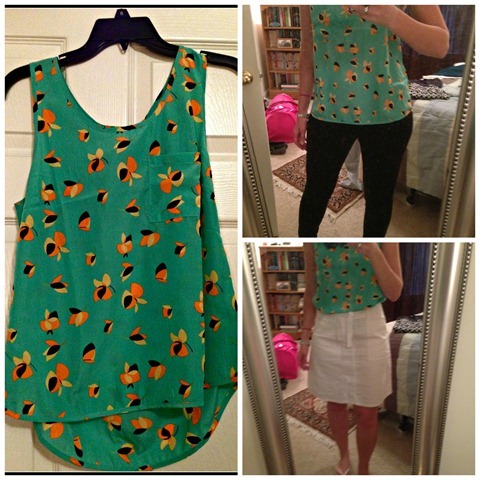 I loved this tank – I loved the fun print (it reminds me of bumblebees), and I love the bright green color. I went running for my skinny ponte pants I got in my first stitch fix. I like how the black of the tank is accented with the pants. I also tried the tank with a plain white skirt for a more summery feel – and I loved both of them! This dress was super comfortable – it was jersey material which I usually love for casual summer dresses – but something about the way this dress lay on my hips did NOT flatter me. You can’t tell in the pictures as much, the belt helped cover it up, but I still wasn’t happy with the results. I tried a blazer vice the cardigan that the style card suggested, but even that didn’t really work. Plus, I’m not thrilled with the color, I find gray tends to wash me out. This was a ho-hum overall. This dress was adorable and comfortable. I don’t think it’s work appropriate (a little too short for me, plus I’ll FREEZE to death in my office), but I’d definitely wear this to run errands or for a casual dinner. 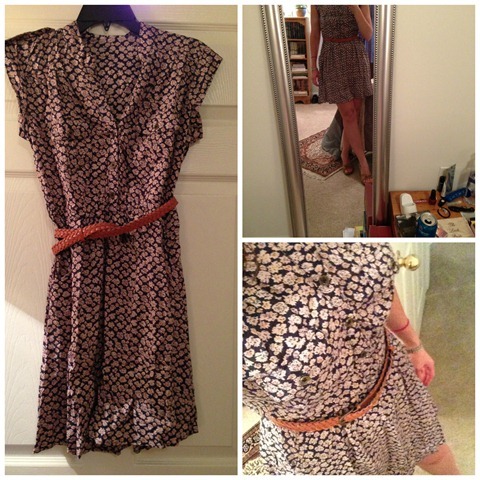 The fit was perfect and I liked it both with and without the belt! When I pulled this shirt out of the pile I definitely didn’t think it was going to work – it looked way too wide, and the flowy material had me wrinkling my nose. I was pleasantly surprised when I paired it with my purple pencil skirt above for a work outfit, and with my white skinnies for a fun casual look. 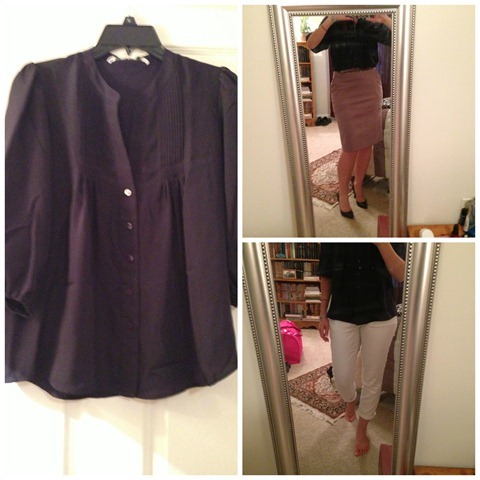 Both outfits I could wear to the office so that’s definitely a win, but I don’t think I need yet another solid blouse. (It looks black in the pictures but it’s really navy, and I already have way too much blue). There is no scenario on earth where I would voluntarily choose this skirt if I was out shopping. 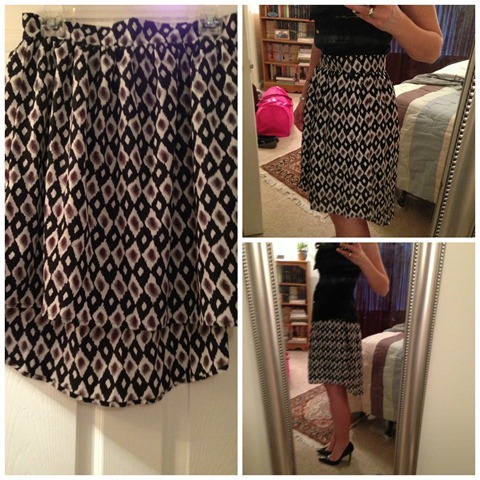 I’m not a fan of the way it’s longer in back, and I tend to shy away from prints. However, one of the reasons I signed up for stitchfix was so that I could add some new and different pieces to my wardrobe, so with great trepidation, I tried this on. And what do you know? It’s not half bad! I wore it with the Pink Martini Logan Tank from my first fix and tried it both tucked and untucked. Not half bad! I’m not entirely sold on it, but it would definitely be something out of my comfort zone! So, there you have it! I have three days to decide what (if anything) I want to keep. 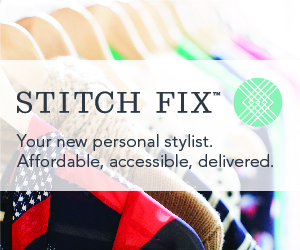 Checking out is super simple – you sign on to stitchfix, give feedback about your items (why you liked them and why you disliked them), and pay and go! It’s good to give really specific feedback on why you do or don’t like a particular piece, because that gives your stylist a better idea of your style. The whole process is super simple, and I love that my stylist already knows what I like and dislike! 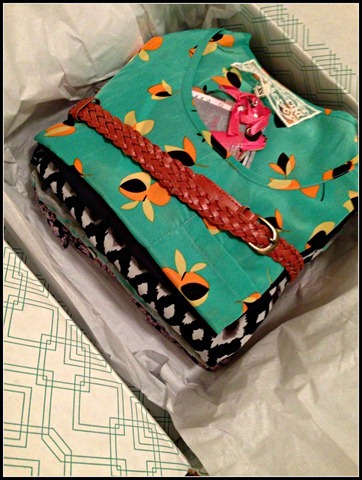 Posted on 25 June 2013 1 October 2015 by BeePosted in FashionTagged clothing, fashion, stitch fix. I LOVE that navy blouse and it looks awesome on you in the pictures! I especially love it with the purple pencil skirt. 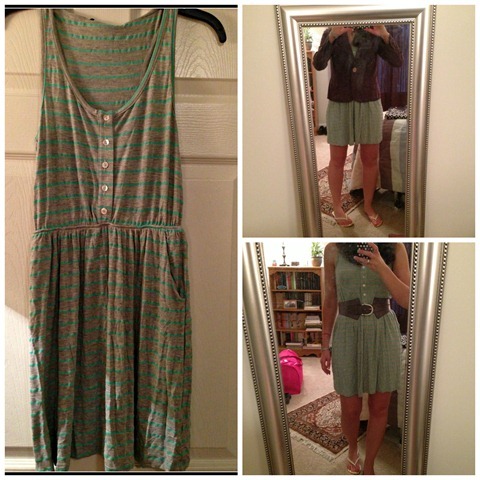 Pingback: Stitchfix #3 | eat. write. run. repeat! 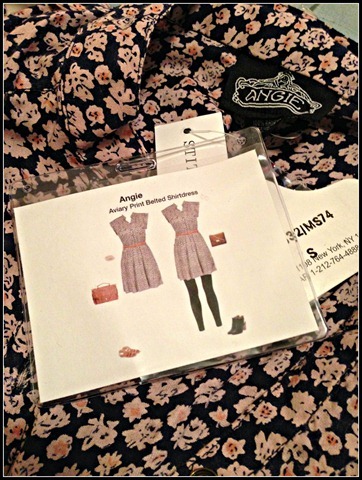 Pingback: Stitch Fix #4 | eat. write. run. repeat!